Want to quickly make affiliate sales with a new blog? 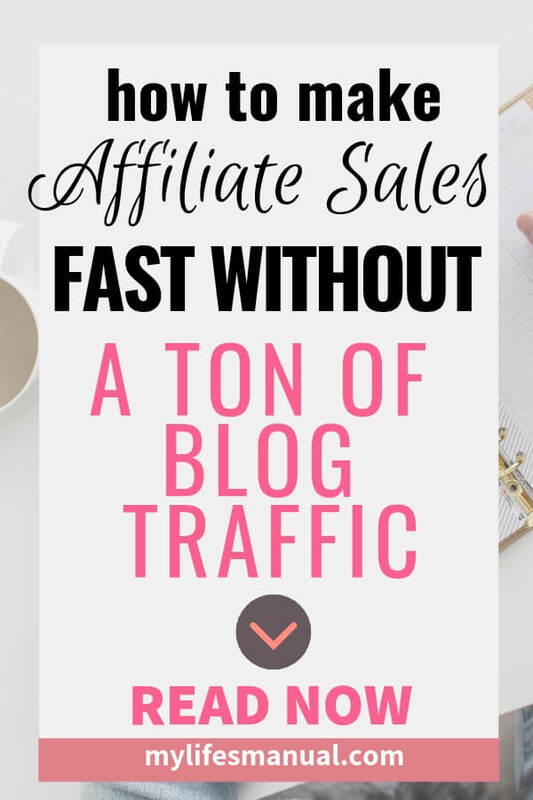 Wondering how long it takes to make money from affiliate marketing when you're blog traffic is low. 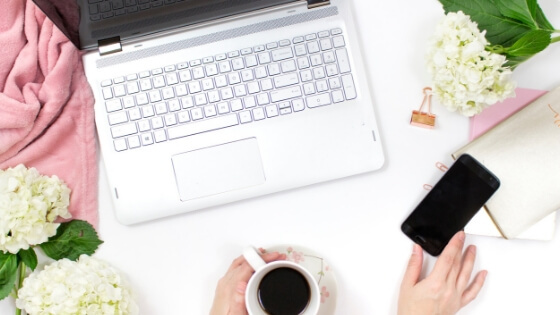 Learn how to earn and increase your affiliate income even without a ton of blog traffic using the strategies in this post. This post contains affiliate links. It means I get a small commission when you purchase using my affiliate links. Please know that I only recommend products and services I trust and use. 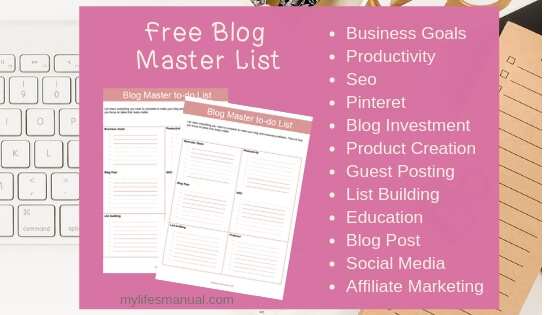 If you don’t have a blog yet or getting started blogging, the First-Month Blog Plan and the 12 Month Blog Plan can help you. Sign up for the Free Trial of Traffic Transformation to increase your page views. Enroll in a free affiliate marketing course and make your first $100 in affiliate sale. Download a FREE 30 Days of Social Media Content. Download a FREE self-help report that you can use as an opt-in freebie. 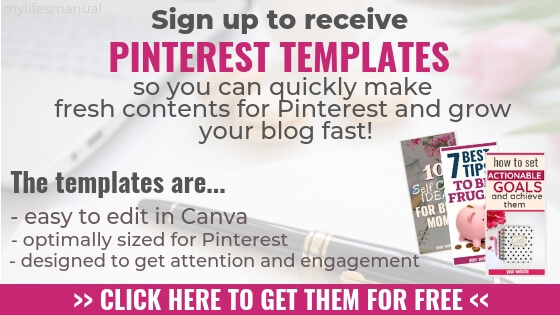 Need help creating pins for Pinterest? 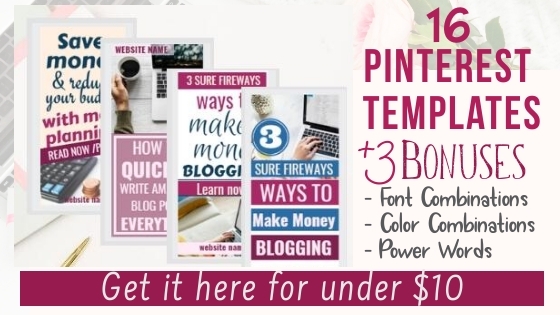 Grab these free pre-made pin graphics that you can customize. Affiliate marketing is the best way to monetize your blog. You don’t need to have a ton of blog traffic to get started. Why not make affiliate sale now? If you have more blog traffic the better, it means more affiliate sales. But are you going to wait until your page views reach 10K or 50K before you get started making affiliate sales? You can make affiliate sale with the blog traffic that you already have. Yes, you can, no matter how small your audience is. There are a lot of options and ways to make money blogging even if you only have 1000 page views. This can help you optimize Ads on your site and teach you other ways to make money blogging. To get started, join high paying affiliate programs in your niche. This master list has 500+ affiliate programs to choose from. I always promote products with 30-50% commission rate. Printable products offer higher commission compared to physical products. 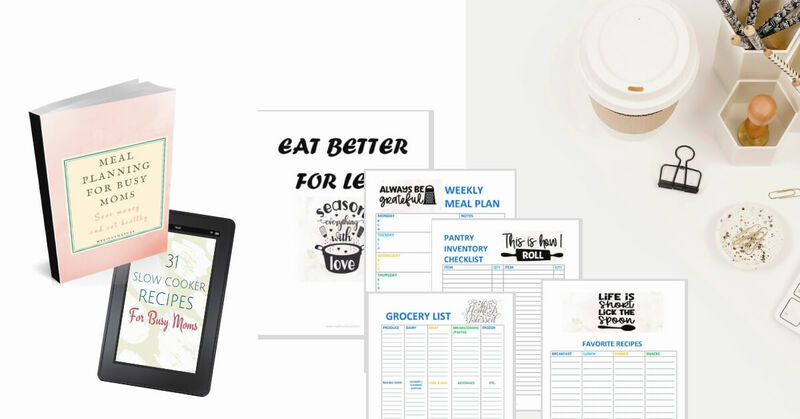 eBooks, eCourses and printable planner offers as much as 50% commissions. Join affiliate programs that resonate with your audience. Keep all the affiliate information in one place so that you know where to get them quickly. You don't have to promote all of them but it is a good thing to have a quick reference to products that you can add to your blog posts. Focus on the top three affiliate products, where you are going to put MORE of your time and hard work, more about that later. Make Your First Affiliate Sale is a Free Course to make your first $100 in affiliate sale. Learn how to make affiliate sales with your blog posts and email. Your blog is getting traffic and people are visiting your site. These people are interested in your opinion, they want to hear your views on the topic that interests them. These people want to learn from you. You need to find these people and serve them better. Your people are the ones reading your blog posts. So you have to find the most visited blog posts on your site. Use Google Analytics to get your 5-10 performing posts. This is how you get your most visited blog posts using Google Analytics. This process will give you the blog posts on all your social media channels. If you only want to get the blog posts on your preferred social media channel, Go to Google Analytics and click on the following options. By following the instructions above you will get the blog posts that are getting the most traffic to your site. These top blog posts bring your audience to your blog. You just found your audience! You just figured out what they want to learn from you based on the blog posts they visit. They are spending a few minutes to learn from you! Serve your audience better by pointing them to services or products that can solve their problem if you can't. Send them to your affiliatelinks. That is the beauty of affiliate marketing, you can partner with an affiliate network and programs to have a bunch of products to help your readers. Think of affiliate products that you can add to the top 5-10 blog posts. Make sure that you are pointing your readers to the right affiliate products that can really help them. For example, your blog post is about saving money. Insert affiliate link that makes them only spend $21 per person per week on food. After making one or two affiliate sales, you will surely work harder to increase your blog income. Writing an awesome blog post can be done quickly, learn how to do just that here! To publish post consistently you can also use done-for-you content, these are contents that you have rights to use, modify or edit however you want. Grab 60 Done-For-You Blog posts here! Remember, I mentioned above to only focus on at least three affiliate products. You will only do that after a couple of weeks or months with affiliate marketing. Based on your result or affiliate commission, take note of your top three affiliate products. These are the ones resonating with your audience. These are the affiliate products and services that your readers love to spend money to solve their problems. Do not remove the other affiliate links that you have with your performing posts. That is not what I meant by focusing on your top 3 affiliate products. What you need to do is create more blog posts solving your reader's problem using your top affiliate products. Say, for example, most of your affiliate commission is coming from the meal planning eBook. What topic can you write about meal planning? Can you write more problem-solving posts about meal planning? There you have it, friends. That is how to make affiliate sales using the blog traffic that you are already enjoying. That is how to increase your affiliate sales based on your result. If you find this helpful, please share it with your friends on social media. If you have any questions please leave a comment below. I would appreciate that. really just getting started with affiliate sales over here, thanks for the tips. much appreciated! Thank you so much Jessica for reading this post. I hope to hear from you when you make your first affiliate sale. Thanks for this! I just began my journey with Affiliate Work and the only rescource I had for awhile was AlisonLindstrom's videos! lol thanks again I'll def be implementing these tips on my blog and for my other business. Thank you. Affiliate marketing is very rewarding. Wishing you all the best in your journey. Thanks for sharing this! 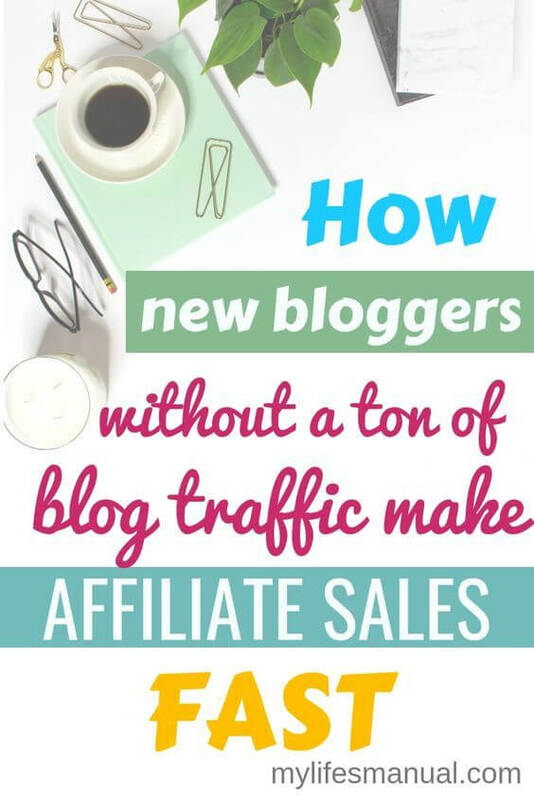 I'm definitely interested in learning more about affiliates and how they can help me in the beginning stages of blogging!!! Thank you Jen. It can be very challenging in the beginning. I hope you find this post helpful. Thank you Martha. Did you already make your first affiliate sales? There are free resources in this blog that you can use. I hope to hear more about your progress. Thank you for your wisdom. This helps me to put things into a better perspective. Hi Laura. Affiliate programs who use redirects are no longer allowed on Pinterest like Sendowl. But you can still use them in your blog post and Newsletter. There are a lot of affiliate programs that are not using Sendowl. What do you blog about so I can help you find affiliate program for you? This is a really great guide! I am downloading all of the really great resources. Great ideas & resources...I haven’t done well with affiliate links, but I’m going to take some of your tips & use them. Thank you for this post. I am a newbie blogger and this one is going to help me a lot. Thank you so much for posting this! I have a very small blog that I want to start making money from and these strategies will help so much! Hey guys, I am also thinking of making my own website for affiliate marketing as i have some experience in fashion industry writing but i am no good at designing a website or how to add the affiliate links to my website. I have researched online and found a couple of articles and website where they are claiming to provide website deign and affiliate material to anyone who register with them like maxbounty, revglue.com, flexoffers and jvzoo etc. can someone please guide that which affiliate program i should select. thanks.